And in order to archive that goal, a good code-completion feature is a must. 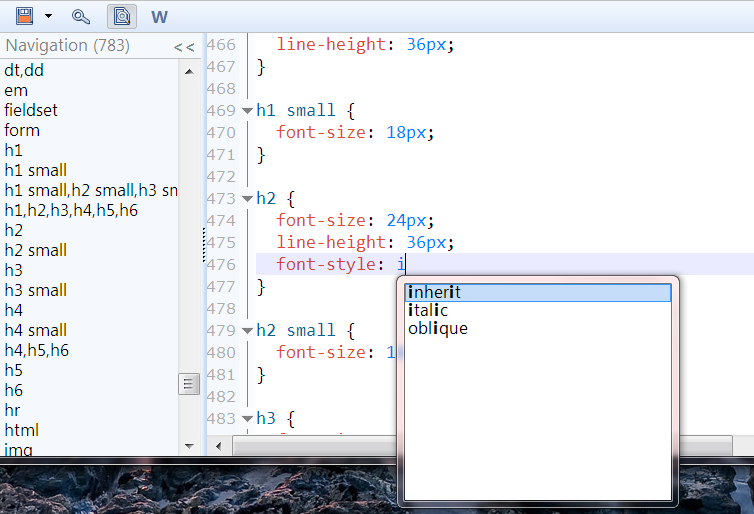 Bellow is a screenshot showing the CSS value code complete for the font-style CSS property. So I’m further closer to the beta testing stage, stay turned! Posted in CSS Code Completion.